The “nose dive” will be one thing after another in an “apparent” unrelated structure. But in many ways it will be the perfect storm of things being aligned. It won’t be total chaos yet, just a lot of confusion and despair. Israel will be fine – The” teiva” – the ark floating calmly in a sea of abyss, an oasis of G-dliness in a desert bereft of holiness. People will be searching for answers. But as bad as it will appear, it will be much softer than anticipated and projected by others. It is not that these mystics and Mekubalim (kabbalists with Ruach HaKodesh – Divine inspiration) are incorrect. They are correct up to a point. What many of them are picking up and bringing down is what is “supposed to happen”. And at that stage, Hashem is not revealing His ultimate truth, whether because He doesn’t want it known, He wants Klal Yisrael to do teshuva (repentance), He wants tzaddikim to play a role in changing things or for other unknown reasons. No one is perfect. Even the greatest of the greatest tzaddikim are not immune, as there had been times when Rav Kaduri – the head of the Jerusalem Kabbalists and the Baba Sali, indisputably two of the greatest tzaddikim and kabbalists of modern times had made predictions that did not materialize – at least in the physical world in a way that the average person could see in b’derech hateva (by normal means within nature). Here is the secret key to understanding the Geula (“Redemption”): More than anything else, Hashem wants to bring the Geula sweetly. And here is the so-called heavenly conflict. Hashem is omnipotent and omniscient – All powerful and all knowing – so why can’t He just change things simply. One tenet of understanding things on a higher level is that “Hashem plays by His own rules”. This means He doesn’t randomly change things around without merit of the parties involved. BUT, however – and this is a cosmic “BUT”, Hashem built many back doors and side doors into the system. One big back door is that he empowered Tzaddikim (Righteous saintly leaders) with certain lobbying and other powers to shift things. 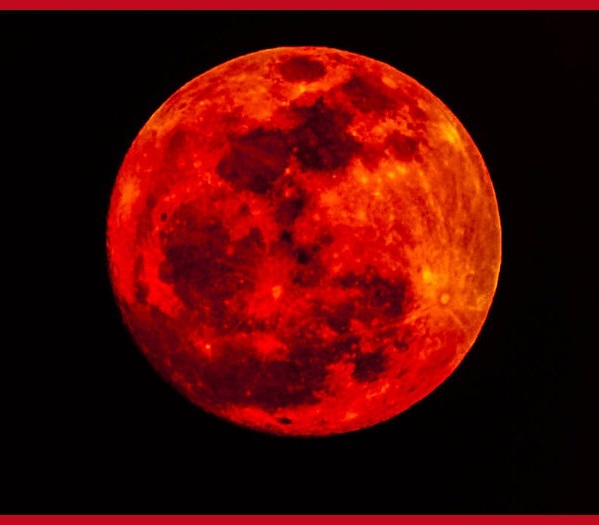 For example, there was supposed to a financial crash after the first blood moon – two Pesachs (Passovers) ago. It was scheduled – It was on the Divine Google Calendar, but due to the holy interference of Tzaddikim – some public and others hidden – it was avoided. That doesn’t mean the last year and a half have been calm, easy uneventful times. To the contrary, we have seen the world start to turn upside down, from Europe to the Middle East. And sometimes the same tzaddikim predicting a calamity are the same ones working in Shamayim (Heaven) to prevent it from happening. WHY ARE THINGS “UPSIDE DOWN”? To any rational, sane, G-d fearing person of any faith, what is happening in the world makes no senses at all. We scratch our heads in bewilderment asking “How can the world be so foolish to act this way or to believe such a thing?” We are taught by Chazal – our sages – that at the time of the Geula, everything will be hafuch – upside down (and not just our coffees – as in Israel – A “Cafe Hafuch” – an upside down coffee, is the term used for a cappuccino). Here we need to turn to the story of Pesach for our answers. Just as Hashem hardened Pharoh’s heart – which effectively continued to give Pharoh bechira – or free will to choose his actions – so he would receive the appropriate Divine punishment, Hashem is now doing the same thing to the world leaders today. Whether the White House, Russian, Iranian, Arab or European leaders, Hashem is now “toying” with our enemies just like He did to Pharoh making them believe they are winning when they are losing again. So in this manner, their punishments are completely justified. Don’t worry about Iran – It is powerless without Hashem’s permission. The tsars or ministering angels have been sidelined with Hashem now running the show directly. Most of the leaders of the Geula have been fairly hidden or relatively unknown on a larger scale – Until now. This has been designed by Hashem to bring the Geula in a roundabout way. In Spiritual Technology, Rav Avraham Sutton brings up that in the Kabbalistic doctrine Kol Hator, the term Ikveta D’Meshicha refers to bringing the Moshiach (Messiah) in a roundabout way to deceive the klipot – the forces of evil. These upcoming wake-up calls – whether natural disasters, wars, financial meltdowns, terrorism, etc, will start to bring the hidden leaders of the Guela forward in a natural way – slowing showing their leadership and replacing some of the established order who will be like deer in headlights – frozen in place, not knowing what to do. One of the major goals of the redemption is to bring G-d consciousness and Geula consciousness into the world, and through this to bring emunah (Faith in G-d) and Achdut (Unity) for Klal Yisrael. If we all lived already with this consciousness, the game would already be over. But unfortunately most people are still sleeping… And when you are sleeping, you need to get a wake up call. First the wake calls start gently, but after a while, they have to become more powerful. This is the context in which we find ourselves today. In the Jewish world alone, only a small percent is really connected to Geula consciousness. And even in the more Jewishly knowledgeable observant world, it is still only a small percentage. The process of bringing the Geula is about more and more of the hidden Divine Light (G-dly energy) of creation being revealed and coming back into the world. In short, if you have the kelim (vessels) to hold this LIGHT, it brings great brachas (blessings) into your life. If you don’t have the vessels, it creates anger and chaos. This is why Israel – the land of holiness – is booming in all areas as it has the capability of holding the LIGHT, and why every other country in its neighborhood – which can not hold the increased Divine Light is in a complete state of chaos. For a more detailed understanding of this process, please read Why the World is So Crazy. It is time for all Jews to start the process of coming to Eretz Yisrael. In truth it will be a multi-year process, but this year coming up will be the line in the sand that people will look back and say this was the turning point. So the earlier the better. Those more enlightened will connect more quickly to the message while others who are more opaque will move more slowly. But the thirst for knowledge and answers will be much much greater. Thousands by thousands and then millions by millions will be seeking answers as the world starts to shift its consciousness. As a group, we need to be strong internally and externally. Internally in our emunah (faith) and understanding of what is really going on. And we need to work on achdut – unity for Klal Yisrael – as we are Hashem’s agents to bring the Geula to the world, to elevate the inhabitants of the world to a more G-dly state. And externally we need to promote Geula consciousness, so both Klal Yisrael and the world are truly connected to the higher understanding of what is going on in the world. And through this consciousness shift, we will all see the hand of G-d revealed. So let’s all daven (pray) with all of our kavana (intention) that Hashem should bring the Geula is the sweetest way possible. Happy and healthy sweet new year. 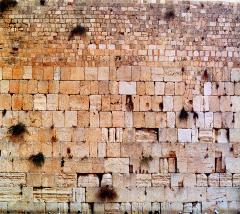 This year in Yerushalayim!! Your article answered many questions. Thank you for writing it, and I hope we can read more on these things fro you. I search for answers from a spiritual/mystical perspective. I do believe that all of us are in touch with our own inner light, and that we are always being guided. With all the turmoil and terrorism in Israel (and the world , for that matter) I was wondering when you will be holding the free monthly energy healing group session. I could really use hearing and joining it, as I’ve been doing these last few months . B’shem Hashem, elohei Yisrael B’ymini Michael u-smoli Gavriel U-milfanai Uriel, me’acharai Raphael V’al roshi, v’al roshi, Shechinat-El This.